Lock in a great price for Filoxenia Hotel – rated 8.3 by recent guests! The hotel was very clean and close to the beach. Staff was helpful. They were ready to do our check in after official hours and were very welcoming. Definitely would go again. Great room, clean. Breakfast is ok. For one or few nights great decision. I booked Filoxenia Hotel for one night stay with family. It fulfill all of my expectations because of perfect location ( only 6-8 minutes by car from the port and 70m from the near beach ), very good breakfast but mostly because of the stuff. We had a very serious car failure 200 km before Volos and it was a very hot Sunday afternoon ( nobody worked ). Thanks to MARIA from the Filoxenia Hotel,, everything was arranged, from car transport to Volos to car mechanic which did a perfect job until 03:00 at night ( i must say again at Sunday afternoon and night ). I can not describe happy faces of my kids in the morning when they realize we will be at the Ferry to Skiathos at a time. Maria thanks again, you saved our vacation. Will be there for sure for the next trip to Volos and Skiathos. A perfect hotel for a family holiday.Very clean,tidy and comfortable room!Excellent service,nice location close to the beach with cafes and restaurants.Markets also near by. Close to the beach and not expensive. We had nice days here. 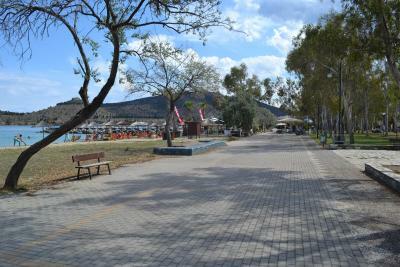 Nice place on a calmer seaside spot of Volos. We used it simply to travel through, and it was very practical for this. Location was wonderful, just a few steps from the beach: exactly what we needed for a few r&r hours. Rooms were ok, bathrooms need updating. The family-run place is very friendly, but internet was not working well and it was difficult to communicate in English. However, since there are not many details to clarify, this is not a major issue. 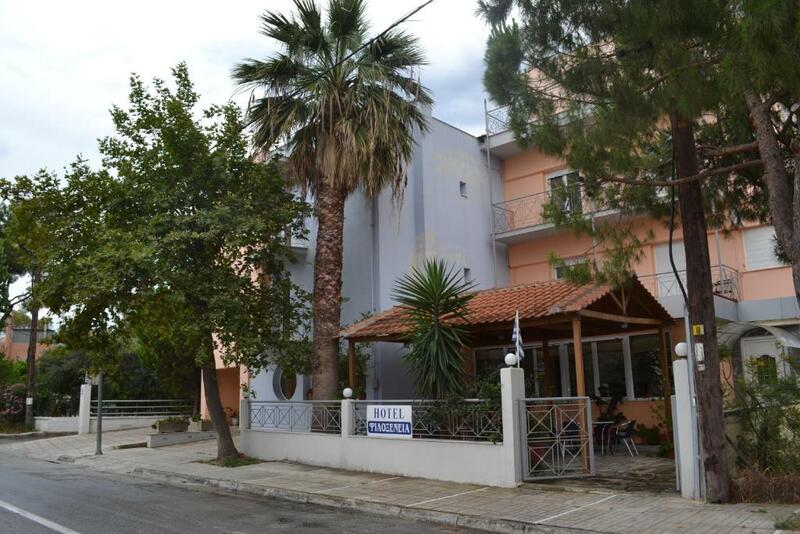 All in all, and easy and pleasant stay within 15 minutes to the Volos ferry to the islands. Staff was so so so helpful! Thank you guys for all your help. Filoxenia Hotel This rating is a reflection of how the property compares to the industry standard when it comes to price, facilities and services available. It's based on a self-evaluation by the property. Use this rating to help choose your stay! One of our best sellers in Volos! 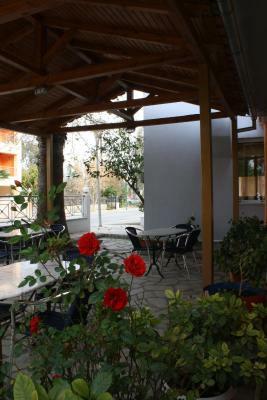 Filoxenia Hotel offers air-conditioned rooms with balcony and free public Wi-Fi, just 200 feet from Alikes Beach. 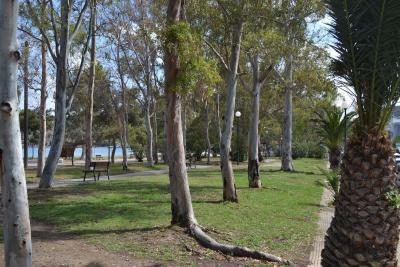 Located 3.1 mi from the center of Volos, the property provides free private parking. The rooms at Filoxenia are simply furnished, with views of Mount Pelion and the beach. Each room has a TV and a fridge. Guests can enjoy a Continental breakfast each morning in the breakfast room. There is also a bar that offers refreshing beverages. 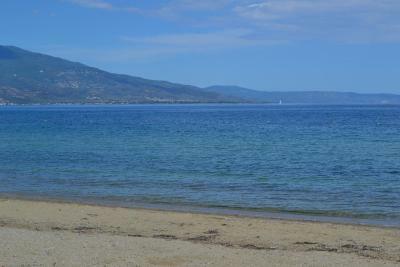 With Filoxenia Hotel as a base you can explore the beauties of Volos, Pelion and all the nearby areas. The front desk can recommend nearby restaurants and attractions. 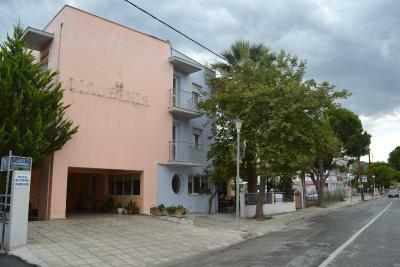 Ιncludes ΤV, air conditioning, central heating, bathroom with shower and a balcony. Spacious rooms, with modern decor and furniture. 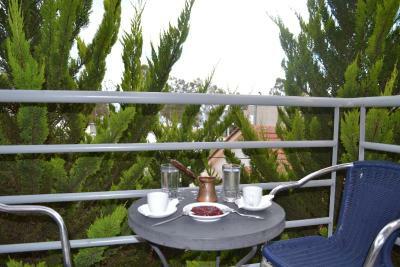 Filoxenia Hotel offers Air Conditioned rooms with balcony, just 60m from Alikes Beach. 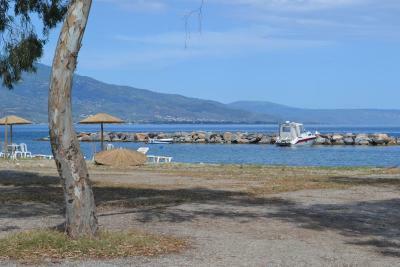 Located a 5-minute drive from the center of Volos. The rooms at Filoxenia are simply furnished, with views of Mount Pelion and the beach. Guests can enjoy a Continental breakfast each morning in the breakfast room or use the room service to order beverages. To sum up our hotel offers 25 beautiful and convenient rooms. All rooms provide air-conditioning, hair-drier, safety box, TV, refrigerator and balconies with views of Pelion Mountain and the beach of Alikes. The hotel provides free Wi-Fi everywhere in the hotel and free parking. Please note that the front desk operates from 07:00 to 24:00. Not clean bathroom, many angry dogs free walking around, faraway from city. WiFi signal was poor the first week. It improved the 2nd week but only in front of the apartment. I am not discussing the throughput speed, but the actual possibility to connect. The apartments are in the midle of forest.